If you are looking for a job in Assam, here is the good news for you. 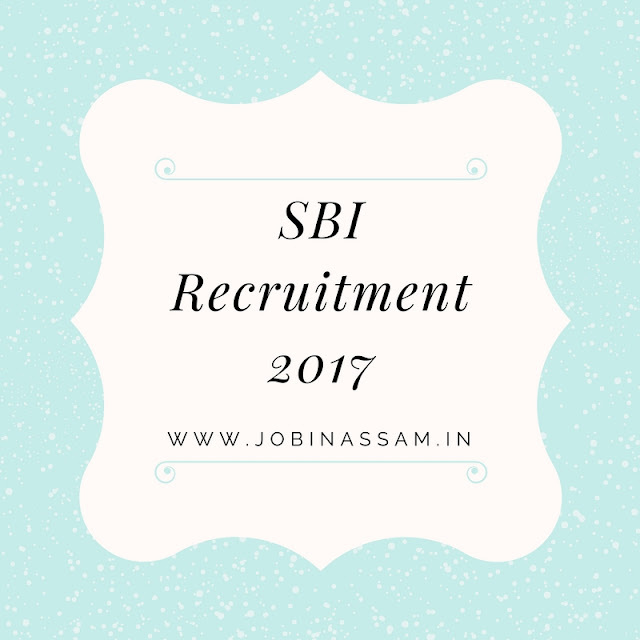 SBI has published a notification regarding their latest Recruitment in various posts by State Bank of India Jobs in Assam 2017. There are vacancy in various categories for different qualification holders. You can apply for the below SBI Jobs in Assam within the last date to build your AssamCareer with one of the top Banks in India. These jobs are available for the citizens of India who have the Eligibility criteria as mentioned below. To apply for the SBI Jobs in Assam for the notified posts please read this article and apply through the direct link given below. Educational Qualification- MBA from a reputed institute. Educational Qualification- Engineering graduate with MBA in Marketing from a reputed University/institute. Educational Qualification- BE/ B.Tech in information technology/Computer Science/Computer Application/Electronics/Electronics & Instrumentations with minimum 60% of marks. Process of Application- You should apply online for the above mentioned post in SBI. Bank's website is https://www.sbi.co.in. Photograph & Signature scane & upload. Examination Fee- A candidate for the posts of SBI Examination have to pay a fee for the selection procedure. I have shared all the important knowledge for the upcoming SBI Recruitment here. In www.jobinassam.in you will always get the clear picture of any Latest Job News Assam. This is completely free service for from me. SBI will be a good job for you if you are eligible for the post mentioned above, apply before the last date. Monthly pay for the SBI job is also good.